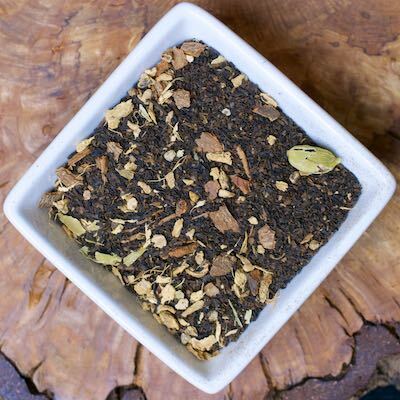 This is a rich, luscious chai combining decaf black tea, a hint of chocolate and cardamom. I like to steep the loose tea on the stove top in half milk, half water for five minutes, then strain out the tea. Adding a bit of agave sweetener makes it a perfect evening treat.